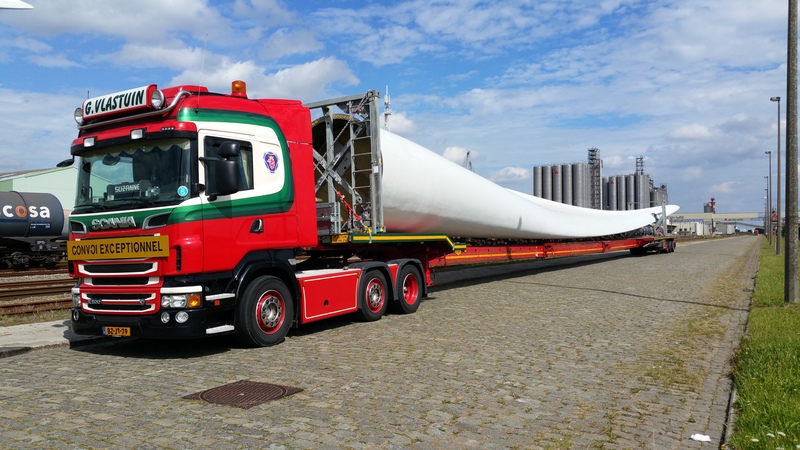 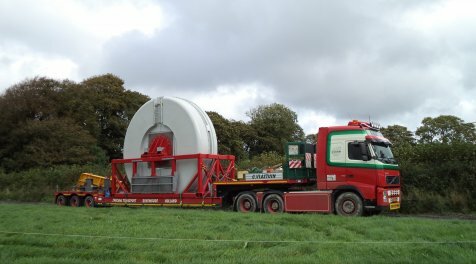 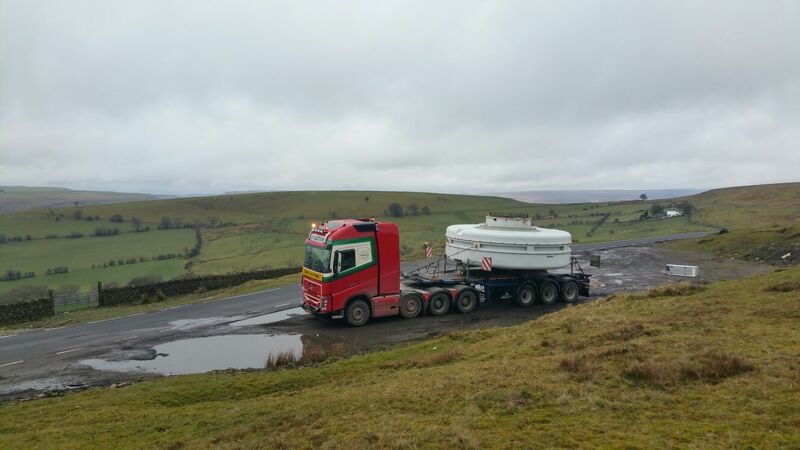 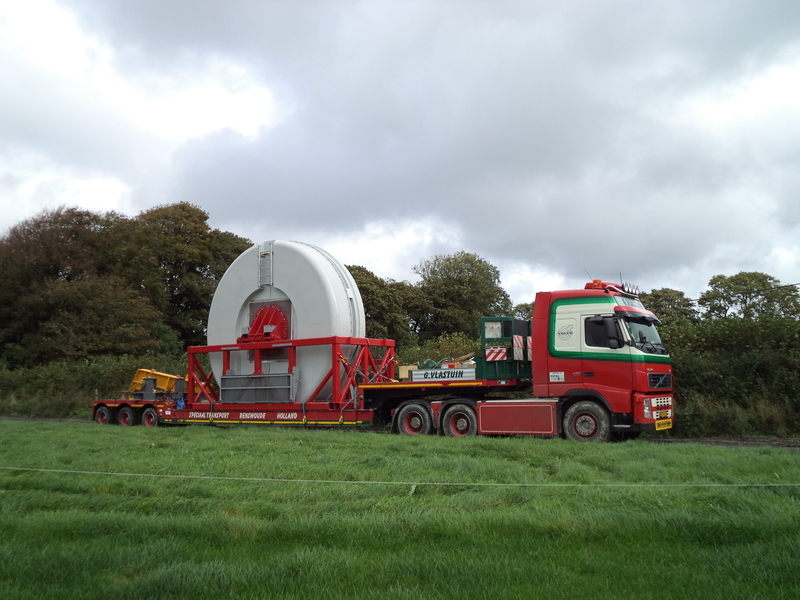 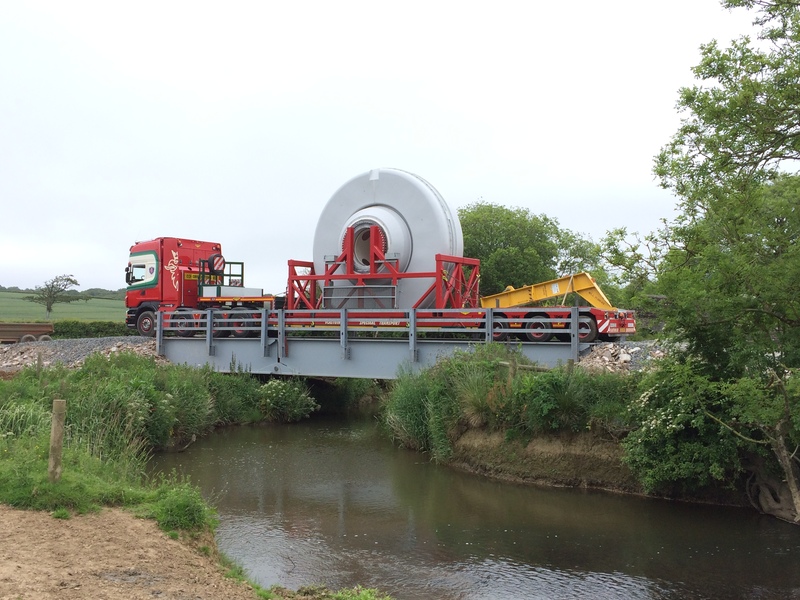 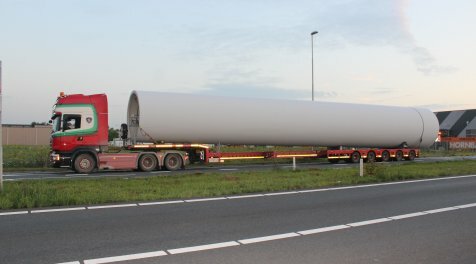 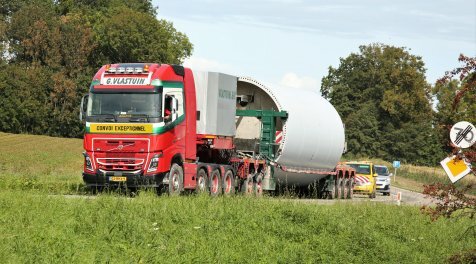 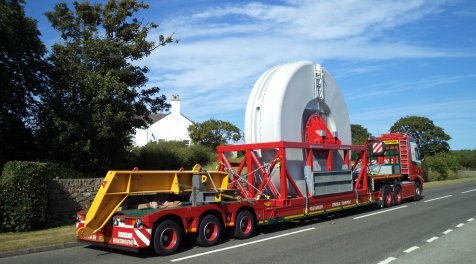 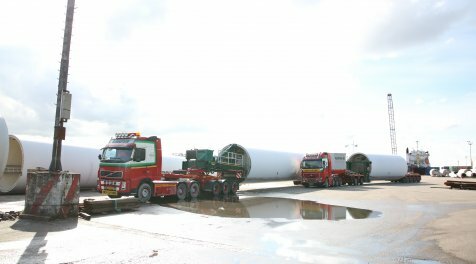 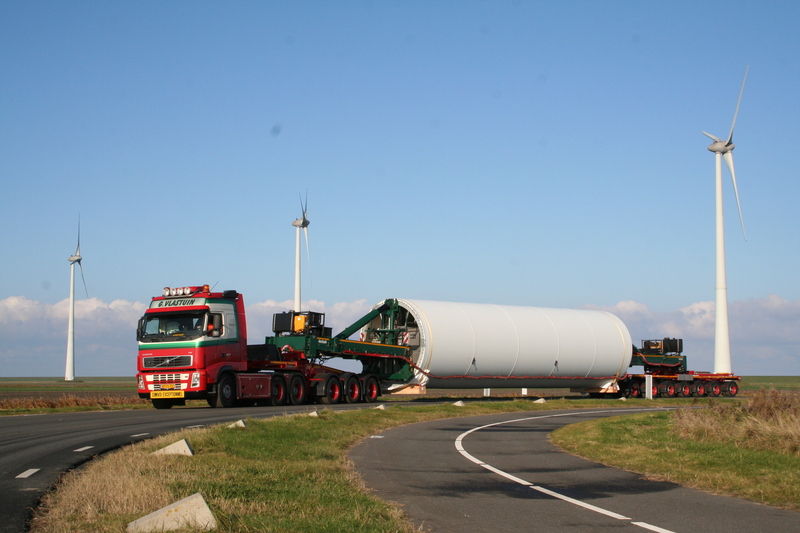 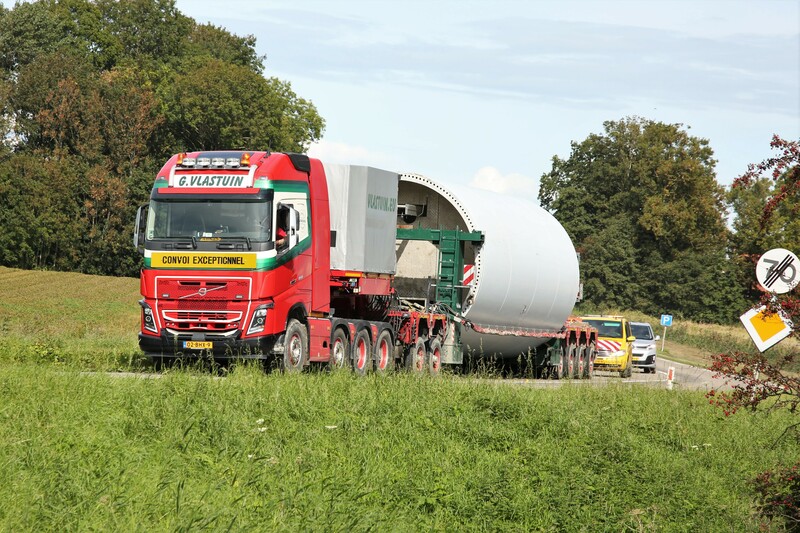 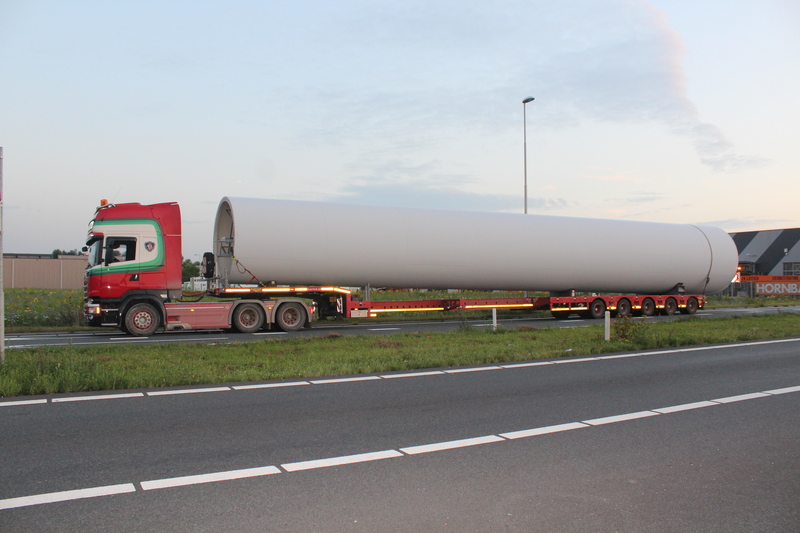 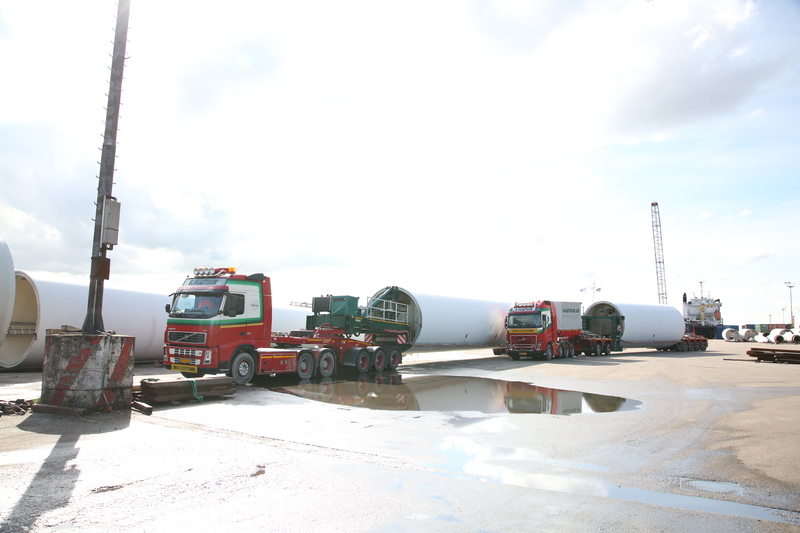 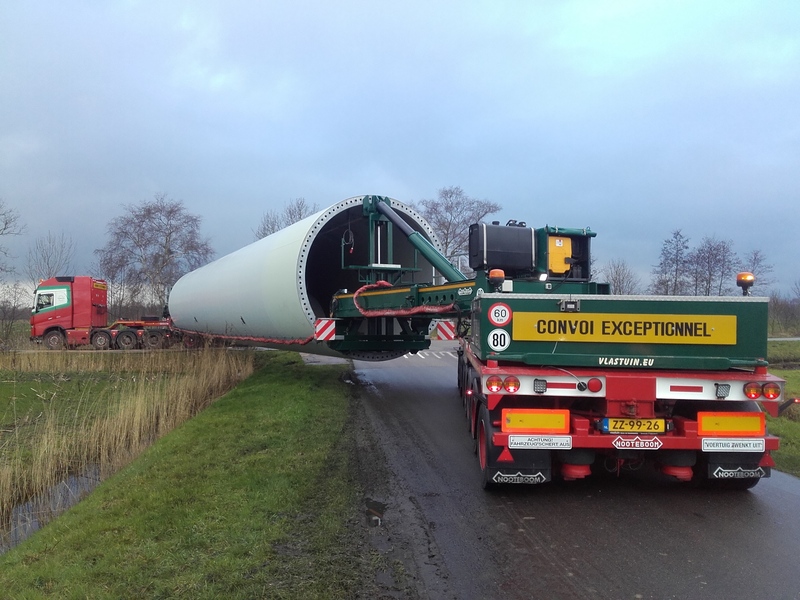 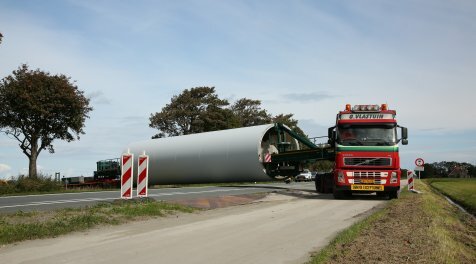 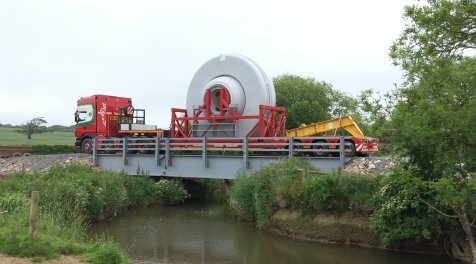 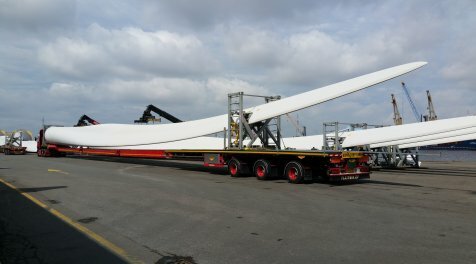 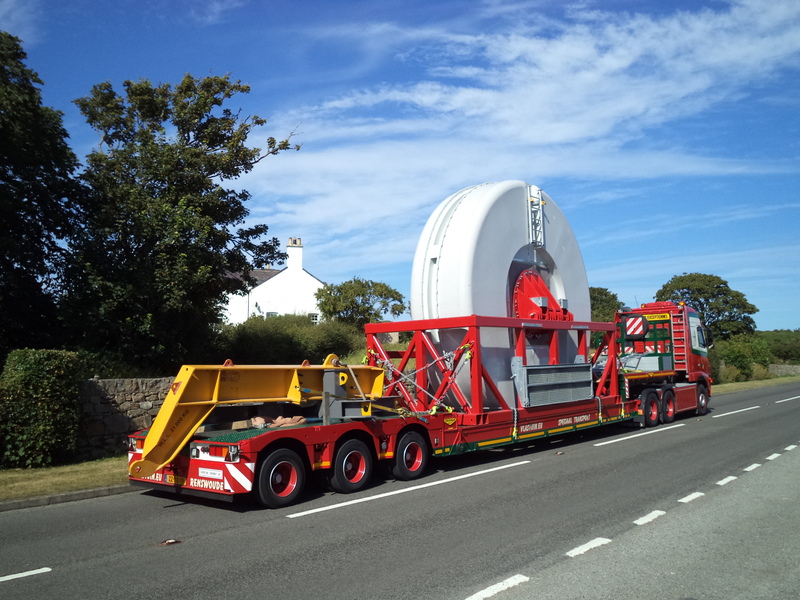 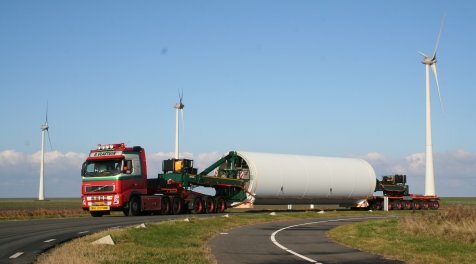 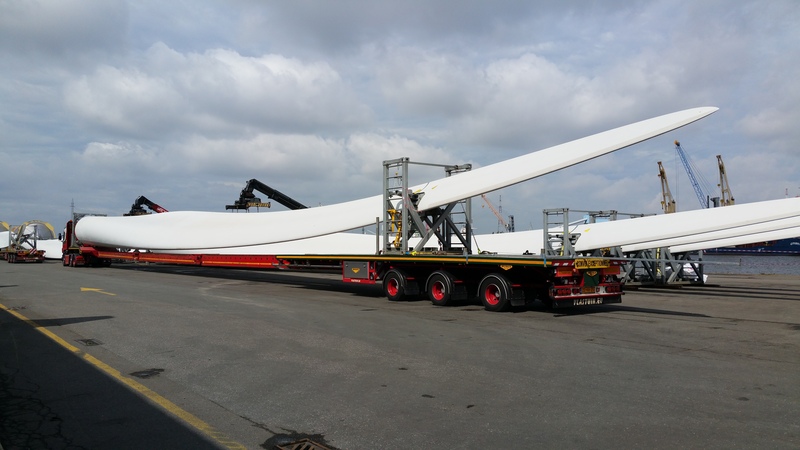 Rotors, nacelles, towers, casings and accessories; G. Vlastuin Transport has been specialising in transporting wind turbines and their parts for many years now, from Ireland and England to Spain and Denmark, and every country in between! 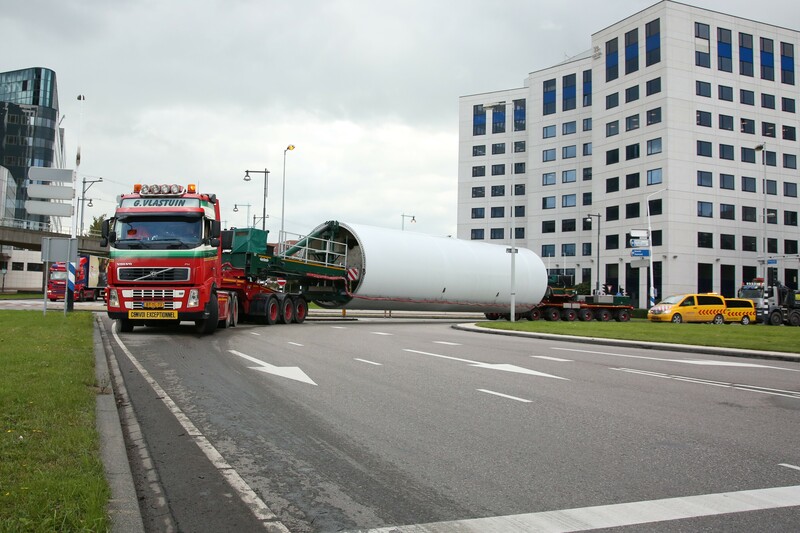 Due to our experience and professional approach, we are able to carry out all desired transports at the required speed and in the desired order. 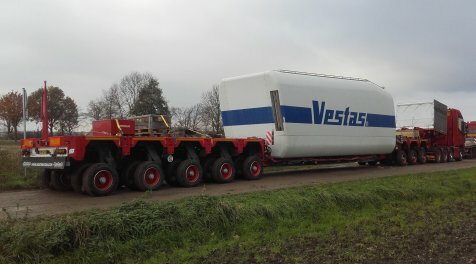 After all, you want to have all of the right components just in time! 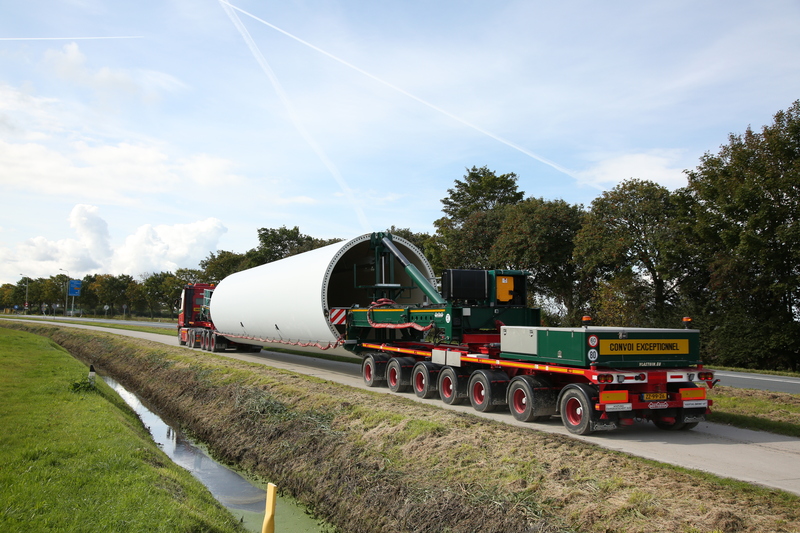 Our vehicle fleet contains the following vehicles that are suitable for transporting large parts, among others: vehicles with modular axle lines of up to 200 tonnes and a lift adapter for tower elements of up to 25 meters in length and 28 tonnes in weight. 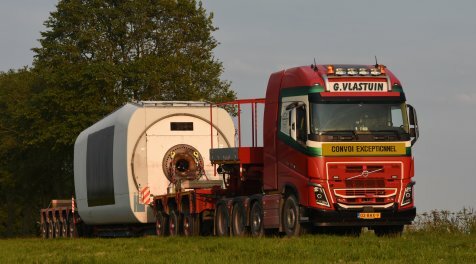 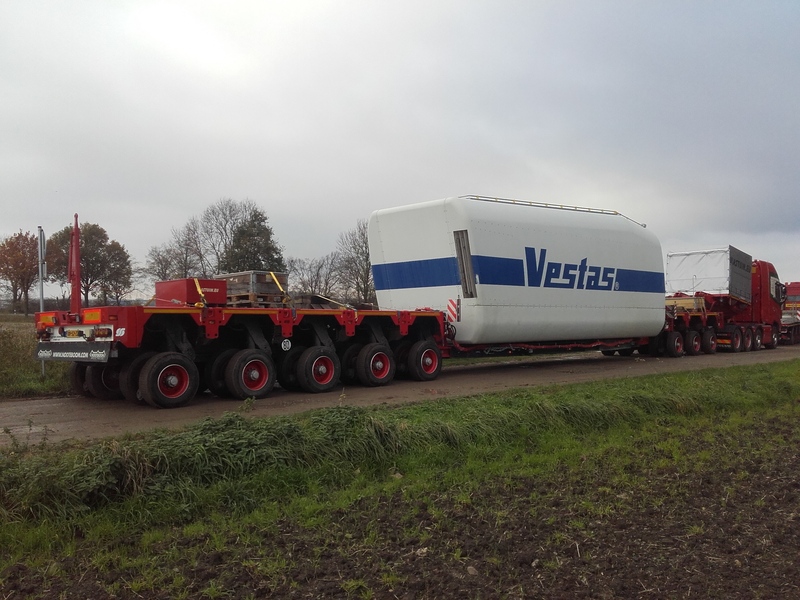 In 2013, G. Vlastuin Transport won the ESTA Award for transport of up to 120 tonnes. 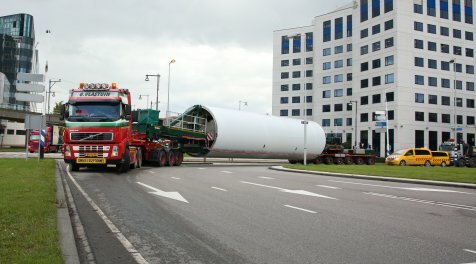 This is an award for the best extraordinary transport in Europe. 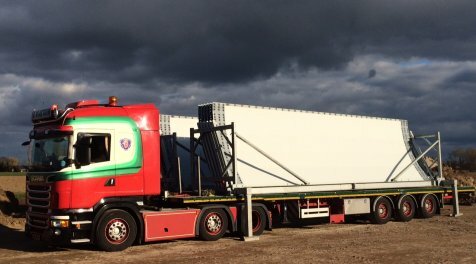 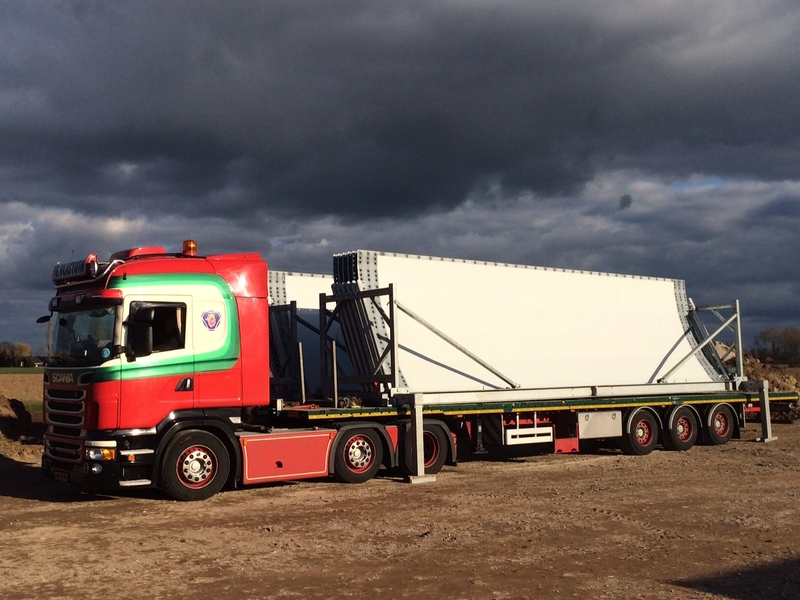 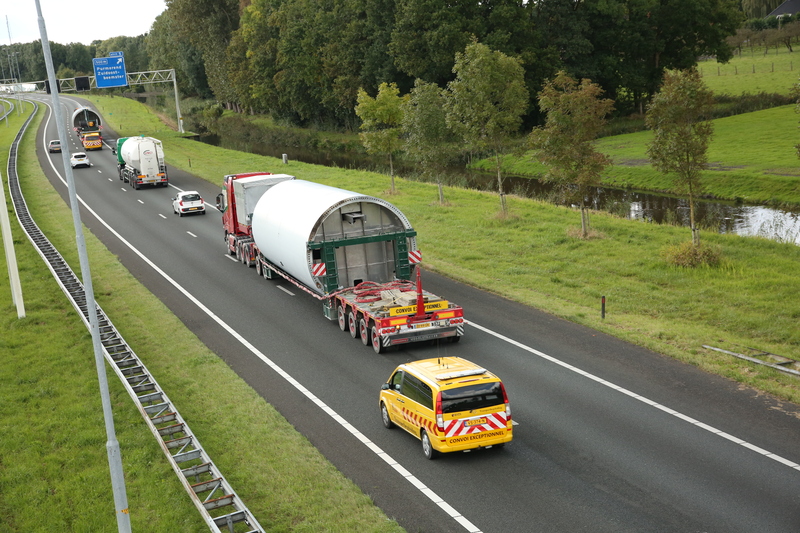 G. Vlastuin transport had developed a special frame for transporting wind turbine generators horizontally. 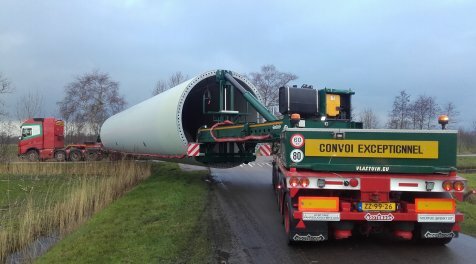 An excellent example of solution-oriented thinking! 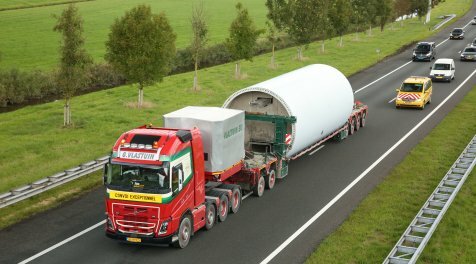 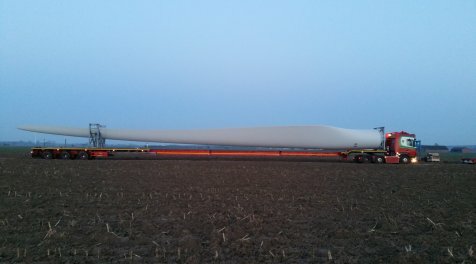 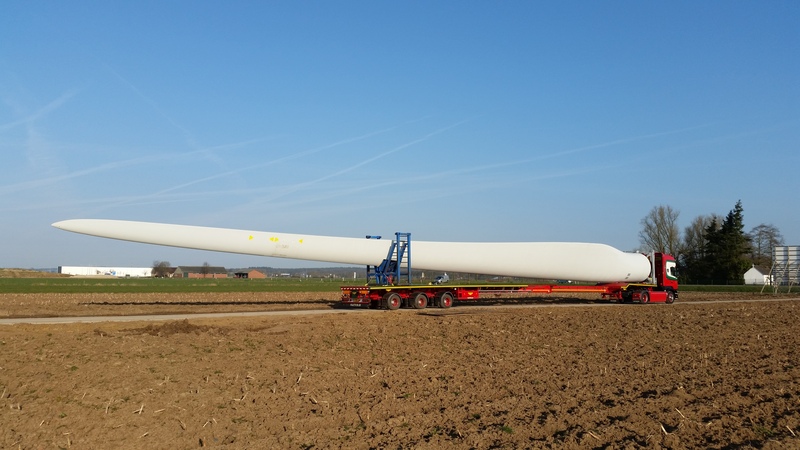 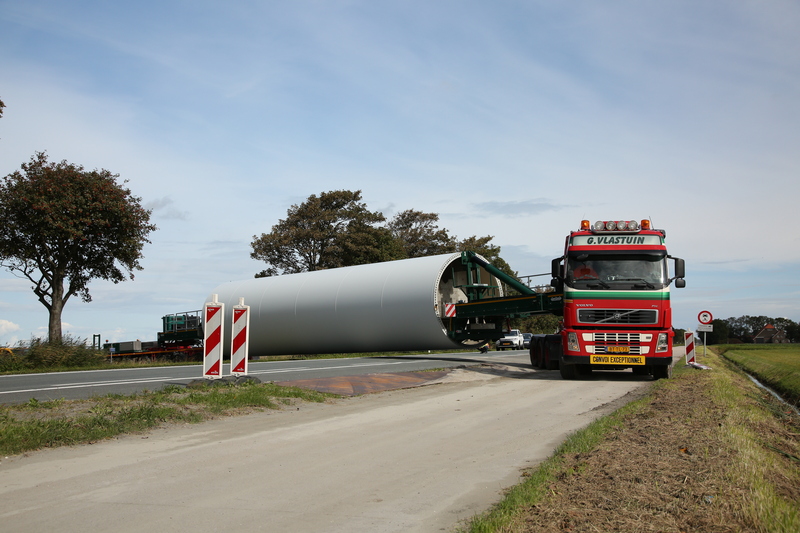 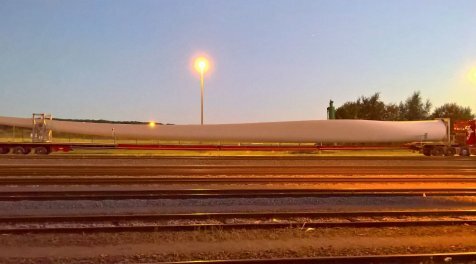 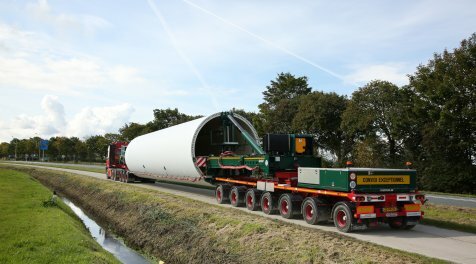 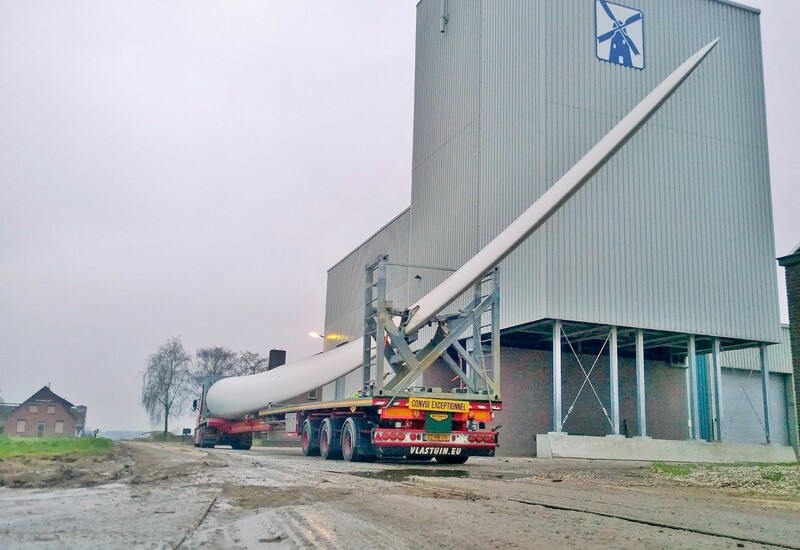 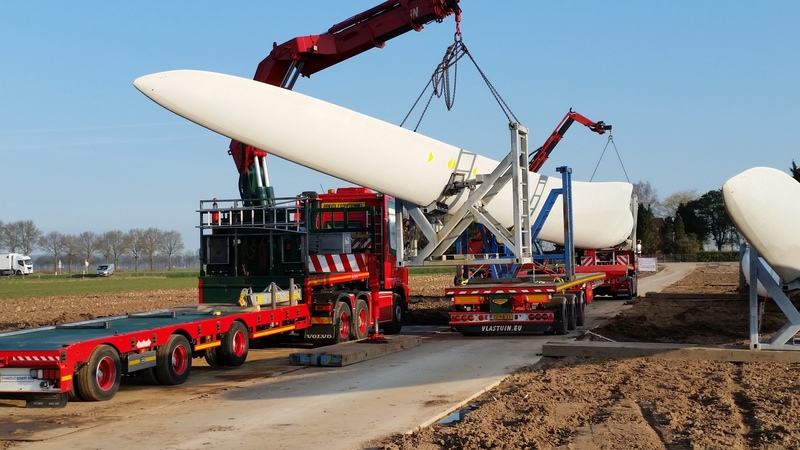 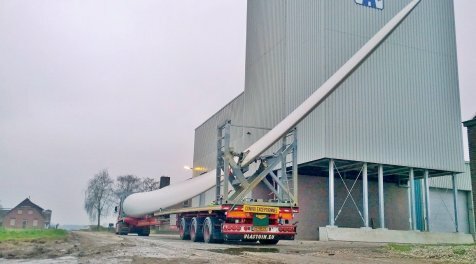 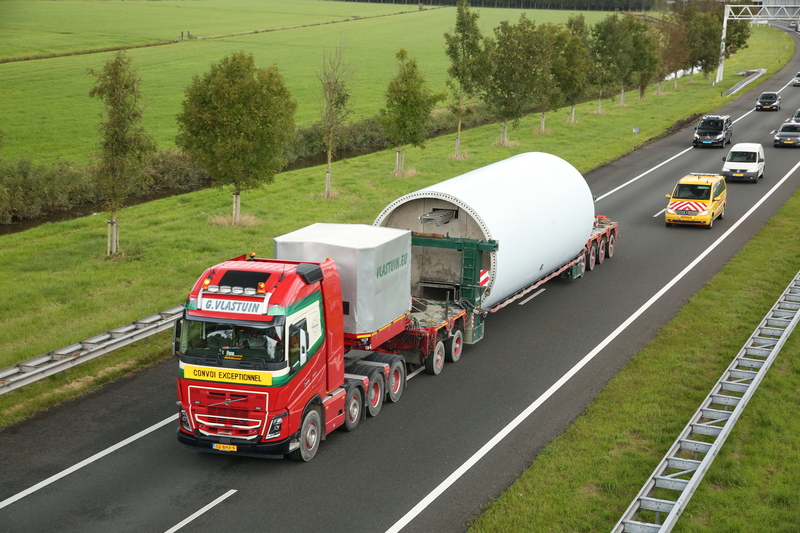 If you have a wind turbine that needs to be transported, contact us now by calling (0318) 57 18 27 or sending an email to info@vlastuin.eu to discover how much energy we put into this specialisation! 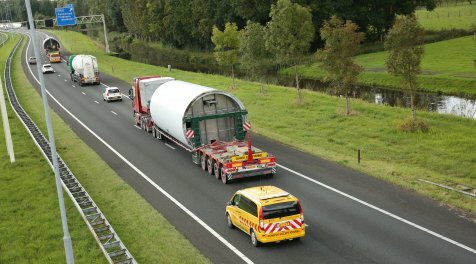 G. Vlastuin Transport BV heeft een Privacy- en Cookie verklaring.